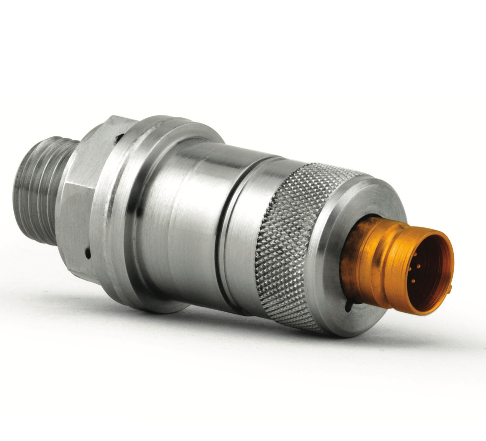 Pressure transducers are intended for absolute pressure sensing. The active element is a stainless steel membrane which senses the pressure to be measured. The membrane transmits a force in proportion to the pressure, to an iso-static beam on which four active strain gauges are bonded in a wheat stone bridge circuit. These transducers are totally enclosed, adequately temperature compensated and are designed to operate even under adverse environmental conditions. They are hermetically sealed and suitable for high humidity environment as well. Succesfully flown in all ISRO launch vehicles.